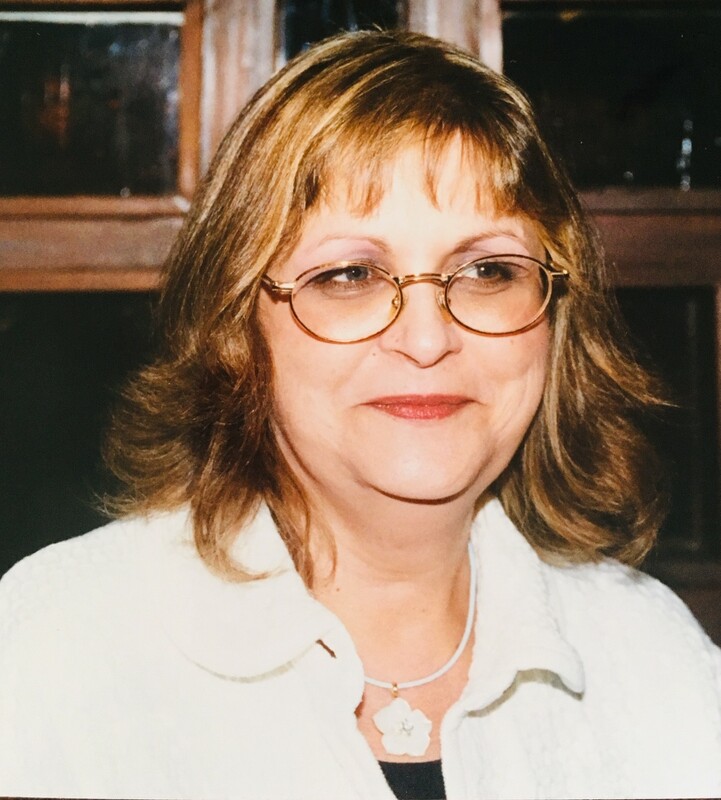 Julie Ann Geldreich, age 62, passed away on January 14, 2019 in Springfield, TN. She was born in Madison, TN on July 2, 1956, and was the youngest of the two daughters of Elaine Mears (Schwarz) and John Mears. She worked in IT Systems at the Tennessee Department of Safety for over 20 years, retiring in 2009. Julie loved her family dearly and her grandchildren were the light of her life. She always made time for her Faith, family and friends and gave as she could to anyone in need. She was active in social justice groups, was an avid reader, enjoyed bird-watching, was a fountain pen enthusiast and an occasional poet. She is survived by her daughter Tasha (Newell) Anderson, her son Derek (Lindsay) Geldreich, her grandchildren Saraya, Parrish, Logan, Gryffin, Chloe, Autumn and Melody, her mother Elaine Mears, her father John Mears and her sister Felicia Mears. In lieu of flowers, donations may be made in her name to The Sierra Club or to The National Audubon Society. Will miss our chats, Dear Friend. I love you very much. Julie and I spent some very special days together. I was honored that she asked me to be her sponsor to becotme an Episcopalian. Those are very tender memories I cherish. Can’t believe that you are gone. Never dreamed my Happy New Year’s text would be your last. Thank you so much for loving my family as your own. We are all heartbroken. I know that you are finally at rest and no longer in pain. Love and miss you so much! When people have said “There are not enough words” I never fully understood the depth of that statement. Until now, unfortunately. I feel a little weird sharing this but I have to because I wish I could tell every individual person on the planet what you mean to me. You taught me so much about life (whether I wanted to hear it or not) that I, to this day, share with everyone I can with the hope of helping them in the same way that you helped me for over a decade. A decade of my life that has been so hard in so many ways but would have been unbearable without you. It feels like it will be unbearable now but I will not let it be because I know everything you want for me. I love you too much to give up. You loved me too much to ever let me think of giving up. I am grateful that I told you during one of our last conversations how much I appreciate all that you have done for me. Everything else was extra compared to the 10+ years of having you in my life with all of your love, guidance and maternal comfort. It was more than I could have ever asked for. Your friendship was the solid foundation I walked on when the ground beneath my feet felt like it was crumbling. I am so glad that that friendship gave us a mother/daughter bond I only HOPE I give to my children. You are incomparable in my eyes and I could never, in any lifetime, thank you enough for gifting me that. Julie you were such a beautiful person to know and to work with. I don’t know what happened, but I know now you are whole again and no pain. My mama and Capt Swift are up there and so many others from TDOS, I hope you all get together and enjoy each others friendship again. Hug mama and the big guy for me. Love you, friend. Prayers for the family and all that knew Julie. Fly high sweet girl. Thank you so much for your kind words, Suzanne! I know it meant so much to Mom that you were her friend—and her sponsor as she deepened her Faith in the church. Her friends, family and faith meant everything to her.